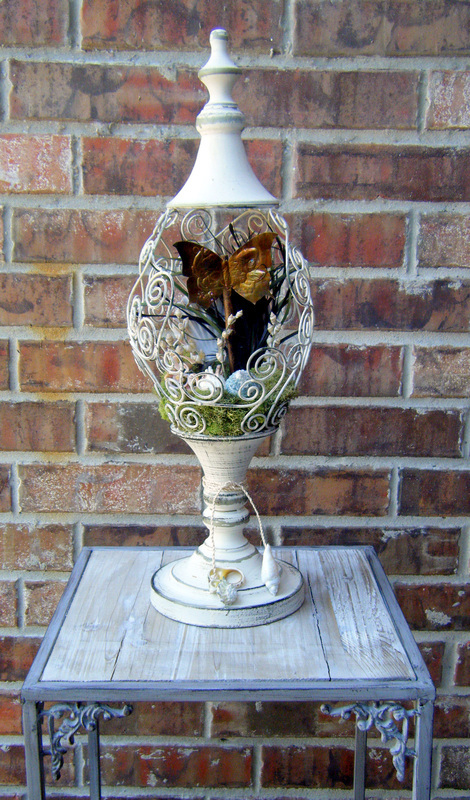 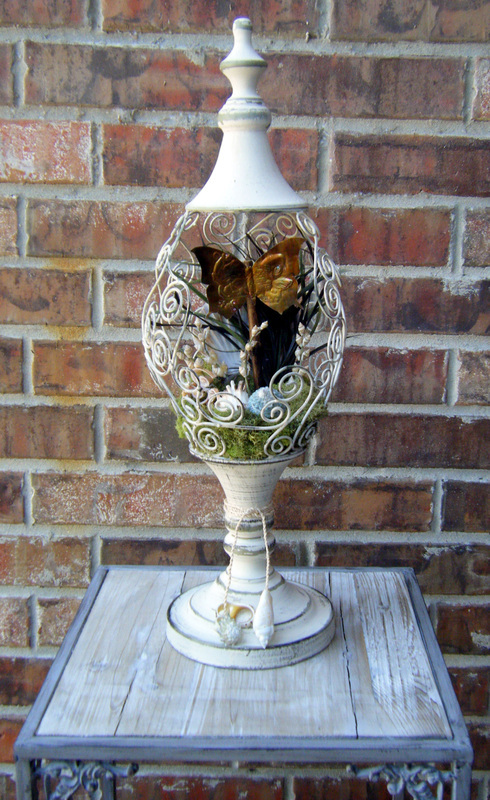 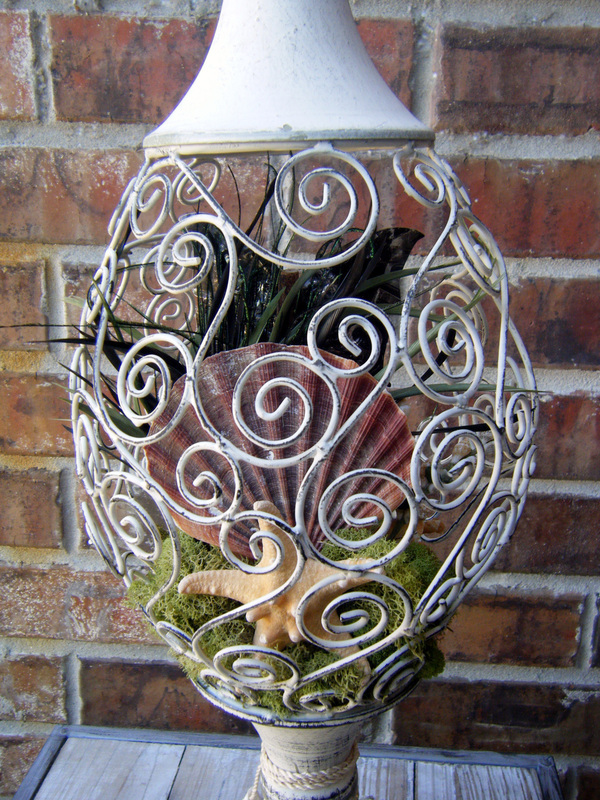 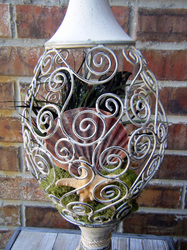 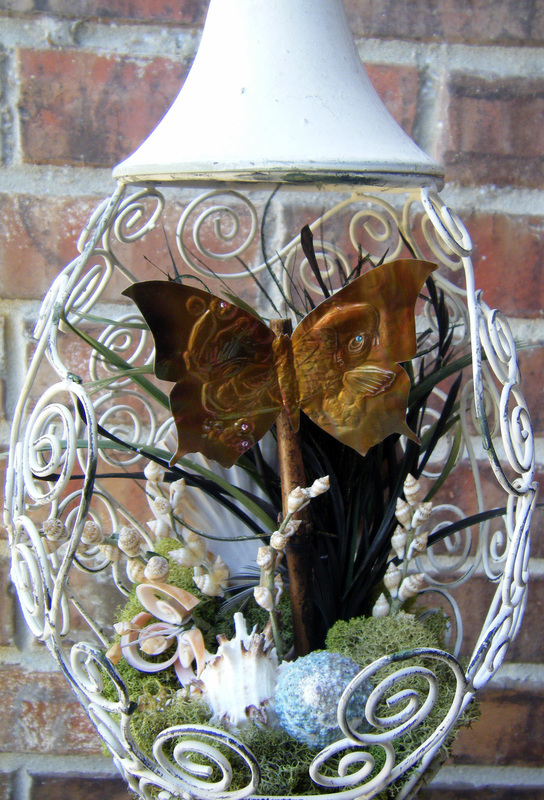 is a one of a kind flutter-bye sculpted from a recycled European beverage can who lives in this lovely underwater fantasy garden. 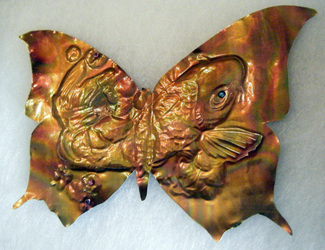 "Goldfish" is a Goatweed Butterfly beautifully inlaid with Swarovski crystals. 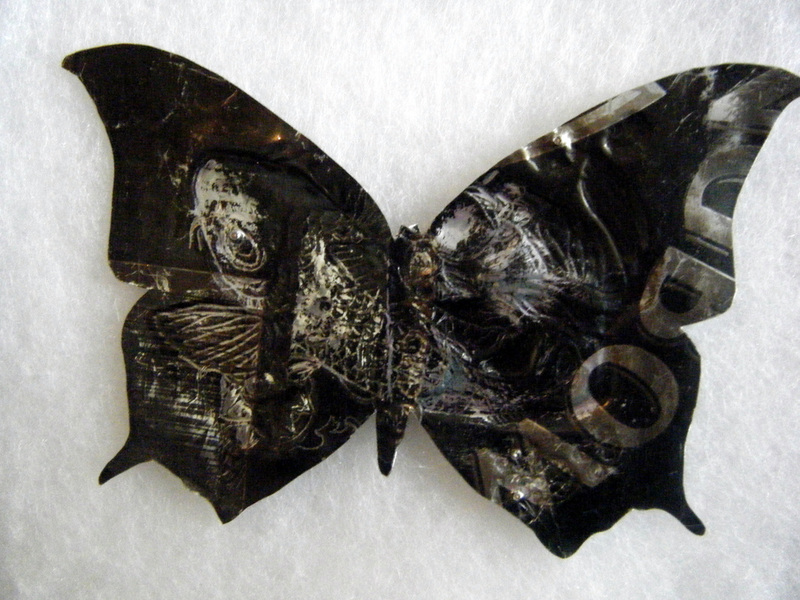 Flutter-bye dimensions: 2.5 x 4"
Overall dimensions: 23 x 8 x 8"